Headlamps are mandatory items for your camping trip. 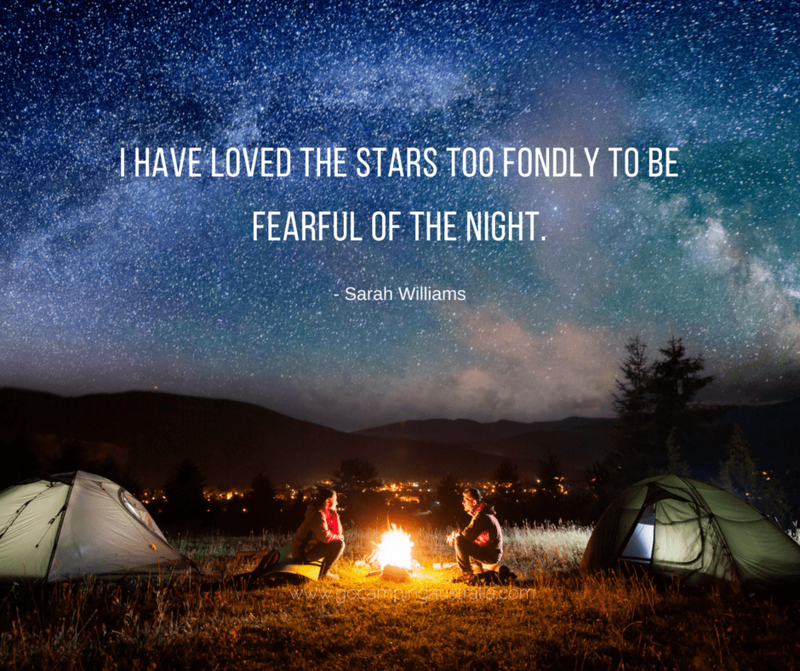 I learnt this the hard way on one of our very early camping trips. I took a lantern with me when I went to the toilet, and placed it on a slope….and the lantern rolled down the hill whilst I was “indisposed”, leaving me totally in the dark, in the bush, and with my light source now some distance away, and it had turned itself off, mid tumble. I had to scramble around in the dark to find the damn thing. If I had worn a headlamp, that story would have had a happy ending. Now, I am not saying, there are no other lighting means for camping. 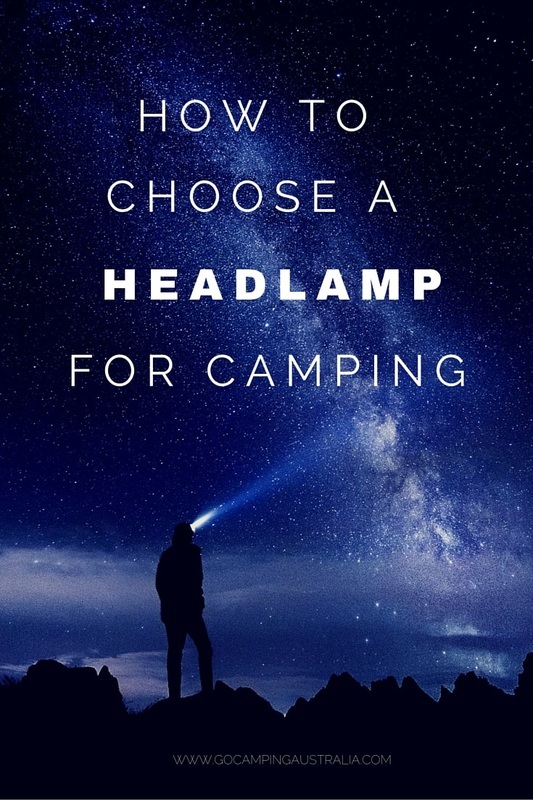 There are loads of lighting options, and I love a lot of light, but headlamps should still be included in your camping gear kit. Why are they great for camping? You can move around the campsite, without holding onto other lights. You can prepare food, do camp chores and go to the toilet, without having to worry where to put your torch or lantern (See the opening paragraph as a reminder). Take up no room in your camping gear box, or bag. You can choose to alter the lighting to suit your needs and what you are doing at the time. You don’t need to be too precious about them. The kids can easily have their own (and attached to them, so less likely to leave somewhere) and you don’t have to worry about them with gas lanterns, or tripping over powered lights. First up, you will overwhelmed for choice when looking for a headlamp that suits you. This is one very overcrowded market, and they range from the mega-cheap lamp to the high priced, high technology headlamp. So, with that in mind, you have to narrow down the choices based on what you want in a lamp, and the price you are prepared to pay for it. Many headlamps are designed for those who are hikers/backpackers and keen adventurers, so some of the features required by that lifestyle is not required for an everyday camping person. Keep that in mind. When choosing your headlamp, there will be lots of information on the package that you need to work out if its for you or not. First up, here is the terminology you need to know (in order to help you make the best choice for yourself). The headlamps come with different beams, and you should probably look at one that gives you some options with the beam (as opposed to just one beam type). This is good for around the campsite, as it casts a wide beam over an area. If you are cooking a meal, in a tent or reading, then this beam is a handy one. It’s not going to let you see a long way in the distance. A headlamp with this feature, should also have settings which allow you to dim it to suit what you are doing. If you are going on a night walk or heading to the toilet, or away from a lit up area, and don’t want to take a tumble over a branch or rock, then this beam is recommended. It is focused. It allows you to shine your lamp a longer distance so you can see what is coming up before you. 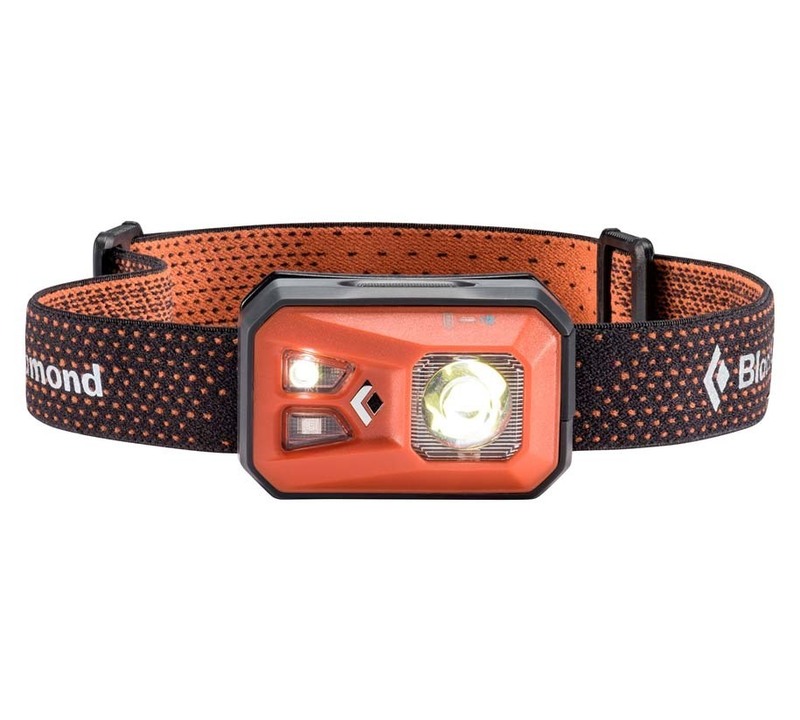 A headlamp, that offers both Flood/Wide and Spot/Narrow beam as an option. This is recommended, because whilst you may pay a bit more for a headlamp with these features, you are going to get more use from one that does multi options. Many headlamps come with the option to have a red LED light. You can use this light to help with night vision. Some have a strobe action, which in an emergency could help others locate you. Using the red light also preserves your battery. Everyone talks about how many lumens your light has! It’s considered the more the better….which is sort of correct. But if your light isn’t being directed properly, then you are not making the best use of your lumens. Lumens are still one of the key factors to look for in a headlamp. I do like a lot of light, so tend to look at lamps with more lumens. So do look at this as a key factor in buying your headlamp, but also look at the next element of headlamp purchasing – the beam distance. This is the second key factor to look for in a headlamp. When you are looking at headlamps, apart from the above features, look at how far the beam goes in the distance and up close. If you are planning on just being around the campsite, and not doing any night hikes, then you are not going to need a beam distance that goes for say, 100m. You might find that something around 30m beam distance is sufficient for you. Like so many things in camping, the measurement of the beam distance is once again a manufacturer guide only. So think about what you need the headlamp for, as this will help you determine what sort of beam distance you should consider. The beam distance is also going to be affected by how fresh your batteries are. If you have been using the batteries for a while, then the beam distance will be affected. It is so annoying to put on a light, and find that batteries are dead or dying. And headlamps can chew up the battery life, especially on full brightness. Of course if you have spare batteries with you, then the problem is easily fixed. If you don’t, then you have to be a little more wary with how you use your headlamp. Look at run time (it will be listed on the headlamp packaging) to get an idea of how long your lamp will run if required on full. This is the third key factor to look for in a headlamp. But remember – run time is just a guide by the manufacturer, and I believe it would be in their best interests to overstate the run time. I would not put 100% trust in this figure. If you are camping remotely or hiking (where help may be some time away), you will want a high performance headlamp that does have a long run time. Outdoor Gear Lab recommends ﻿Black Diamond Icon﻿ for those of you are looking for a lamp with a longer run time. Your headlamp needs to be a bit tough. You want to be able to drop it, and it not crack or stop working. Rain should not bother its performance. At a minimum, the headlamp should say they are water resistant. Look for a rating of IPX4. For around camp, you don’t want to purchase a headlamp, that at the first drop of rain, you have to put away. If you are prone to dropping headlamps in creeks, then you need a waterproof rating which is considered above IPX7. Headlamps come in different sizes and different weights. If your headlamp has an external battery pack, that will add further weight plus can be a little uncomfortable (in my experience) if not placed against your head just right! But generally, around campsite, most campers need not worry too much about weight. The ultralight campers amongst you, who count grams, will need to consider that more (possibly). When you buy your headlamp, many will come with different modes. For car camping, you don’t need a lot of modes for the light beams. Probably low and high will be enough for your lighting needs. Your preference for the mode you use, is up to you. But the more light you use, the greater the drain on your batteries. Some headlamps, as their batteries weaken, the light will just start dimming and you know you need to source fresh batteries soon. Other lamps, the lights will just stop abruptly. No warning. Huge price options with headlamp purchases. You will see some very cheap ones (and you do need to question, why they are so cheap, like $10. They are not going to meet the key areas of lumens/distance/battery time and ultimately, a total waste of your money). Alternatively you go to the very expensive that are $400+ which do everything, and just excessive for car camping. I have also seen these little cute ones, with animals faces on them (and the eyes are the lamps) - very cute, but don't even consider them. Spend your money wisely on a headlamp for your child that will actually provide light (and therefore safer) rather than one that looks like a monkey/dog/duck/whatever. For car camping, it’s probably best to avoid the very cheap, and the very expensive. Hunt around for one that meets your needs and your budget. Headlamps will come with other features which you may want to consider. They are nice, but not mandatory options to look for. Ability to tilt the light – that’s handy to direct the light up/down without having to move your head to get the light in that location. On/Off switches – think about where the on/off switch is placed and how you activate each mode of lighting. Is it tricky and can you do it in a hurry in the middle of the night? Is there a mechanism on the headlamp to stop it being turned on accidentally in your bag? (nothing worse that pulling out a light to find that its been on for hours in your camping gear, and now, it’s dead). Our choice for the LED Lenser - MH7 600 Lumen (but I do like a lot of this brand, so really hard to narrow down). 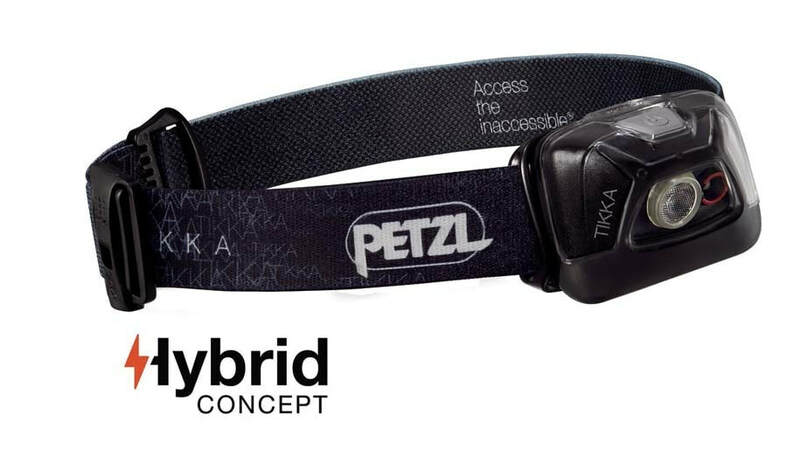 If interested in a headlamp that is Bluetooth compatible (check your battery life with your phone and light is automatically adjusted, then look at the Petzl Reactik+. You may not need all these features, but if you are into gadgets that do more than just perform, then this could be worth a look. Below is the Black Diamond Storm - 350 Lumens, with a good range of lighting options. It's a good "workhorse" lamp, but takes 4 AAA batteries. And if you are wanting lumens in your life, 700 Lumens from the Petzl Nao might be your go-to headlamp. 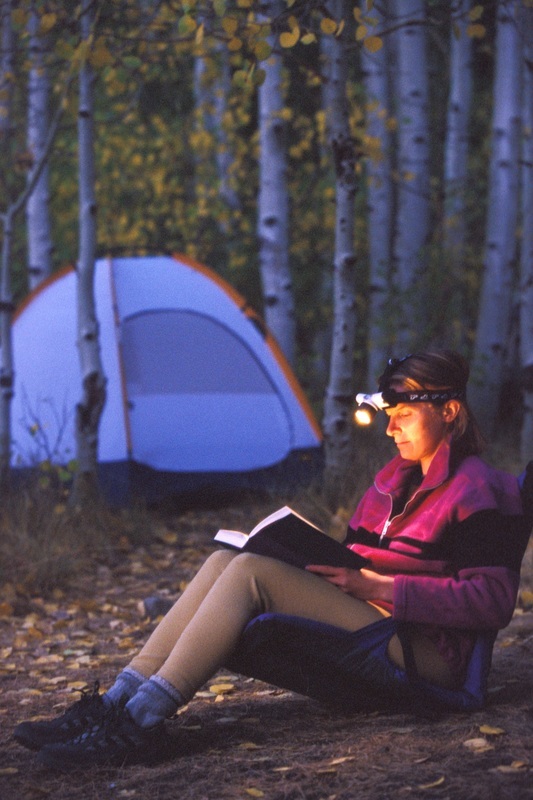 Headlamps are really a very versatile way to light up your campsite, and move around safely. With their availability and ease of use, this is one piece of camping gear we suggest you add to your camping list. They are not necessarily to save you taking any more camping lights with you, but a worthwhile addition to any lights you currently use.